Please include attribution to Chuck’s Landscaping with this graphic. Please include attribution to https://landscapingbychuck.com with this graphic. Even though they have been bred to take food from the surface, koi fish evolved to take advantage of a different strategy. In the wild, koi scoot along the floor, sifting through the mud to find food. This tends to make muddy ponds messy. Koi don’t have teeth. Instead, the two fleshy barbels hanging from their mouth help them feel out the bottom of ponds. Some koi have stopped cruising along the bottom and may instead try to hunt insects or other food on the surface. Flake: Best for the smallest koi and for their fry (baby koi). 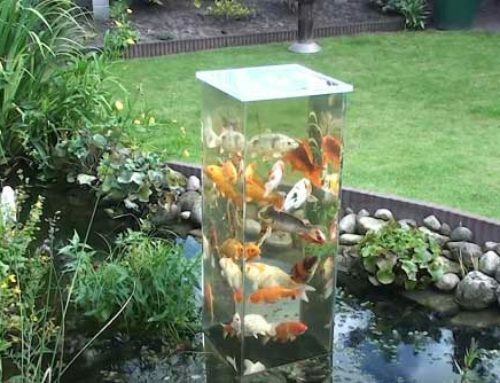 Pellet: Should be small enough for your koi to swallow whole. Bar: Best for the largest koi, though small koi will nibble it. Floating: The most fun to watch. Most koi will prefer to eat floating food. Sinking: Some koi find this a natural way to eat, but it is hard to monitor. The nutritional value of the food is most important. The first ingredient should be fish-based and provides protein and most nutrients. The second is often a carbohydrate, which fish need too! 32-36 percent protein content. Koi won’t benefit from any extra protein, but higher protein isn’t bad. 3-9 percent fat content. Young fish need more protein to grow, while older fish need less unless sick. Low phosphorous. 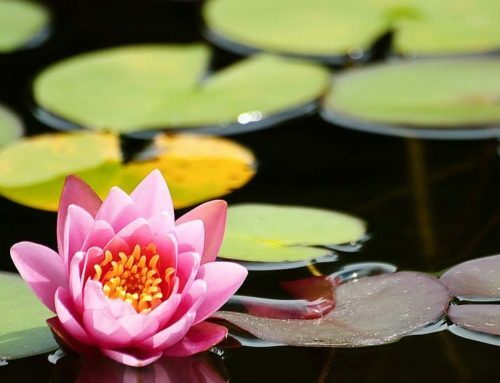 Excess phosphorous in your pond will reduce your water quality and promote algae. Koi fish also need small amounts of other nutrients including calcium, vitamins A, C, D, E, and K.
The biggest mistake new koi owners make is over-feeding their fish. Follow these instructions to avoid that and to keep your koi healthy. Sprinkle the food very slowly, for a maximum of five minutes. 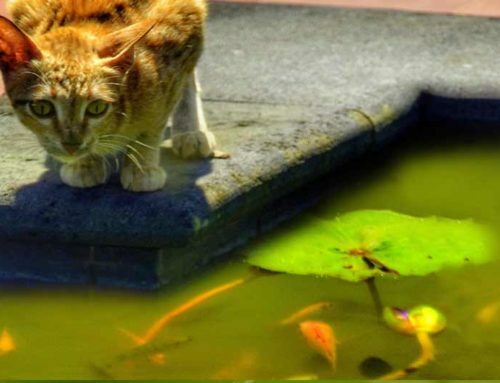 The koi should be eager to eat and not leave any food untouched. Feed your koi up to three times daily, or less in cold weather. Feed away from the skimmer, so it doesn’t pick up any food. You need to feed koi differently depending on the season, water temperature, and oxygen levels. In the spring, before and during mating season, your koi will crave food with extra protein. In the fall, they will prefer foods with more carbohydrates, to help them prepare for the winter. 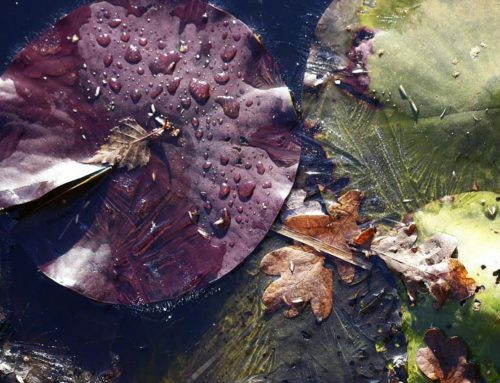 In the winter, koi hibernate at the bottom of their pond, so you won’t need to feed them at all. Stop feeding your koi at temperatures below 40° F and start again at temperatures above 40° F.
Koi also need oxygen in order to digest their food, so you should monitor oxygen levels. Don’t feed your koi if your filter is broken; the oxygen will be too low. Get it fixed quickly. 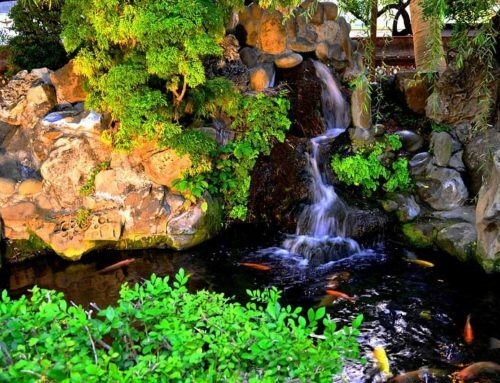 Install a waterfall to re-oxygenate the water if you are having trouble with oxygen levels. These are fun foods that koi often enjoy, but they are usually nutritionally poor, so you shouldn’t feed them more than two or three times a week. Each different kind of treat needs to be prepared differently so your koi don’t hurt themselves. Vegetables are too hard for koi to nibble, so cut them up into pieces at least as small as your koi’s pellets. Fruits are soft enough for the koi to nibble, so some people cut them into slices and let the koi bite them. Grains are very fattening and should be fed the least. But, Cheerios can help an underweight koi gain weight. Pasta and rice need to be cooked, without salt, before koi eat them, or they will expand in the koi’s stomach.